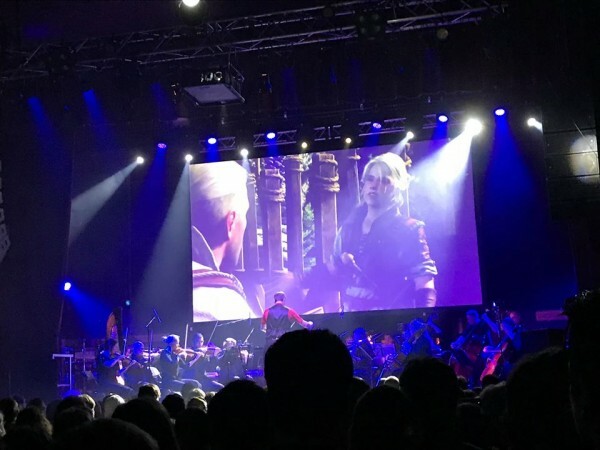 Videogames Live concert kicked off with Castlevania. As with all Videolive Game concerts they show segments of the various different videogames up on the screen above the orchestra. After they had finished Castlevania, the creator introduced part one, which was a horror theme in celebration of Halloween. He also spoke about why he created the Videogames Live concert. They performed a number of horror themed videogames from the likes of Bioshock, Silent Hill 2, The Last of Us and the Witcher. Each one was amazingly performed and conducted, that matched what was seen on screen. In between two or three tracks they would take a break with funny video clips on the screen that drew laughs from the crowd. After a short twenty minute intermission they left the horror theme and started some of the most popular franchises ranging from Kingdom Hearts and Final Fantasy, all the way to Overwatch, and World of Warcraft. 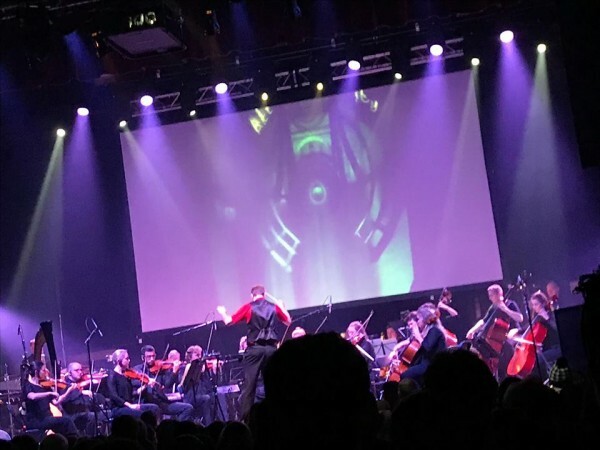 Each one was a different style, so the Overwatch was far more dramatic than some of the pieces they performed, and the video suited the tone of the music. In stark contrast, the Final Fantasy piece was far more slower, gentle than the Overwatch piece. Incredibly, they used an entirely fan based video on the screen, rather than actual clips from the videogame, using the videogame characters of course. 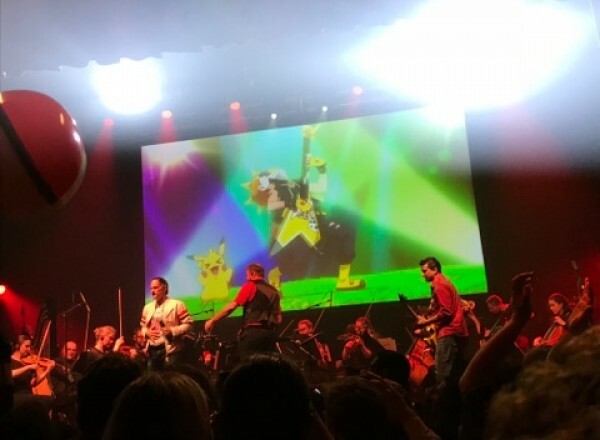 The performance by Videogames Live Concert finished with Jason Paige, the original singer for the Pokemon theme tune appearing on stage, singing the tune with the crowd also engaging. In hilarious and amazing fashion they showed not only clips from the animated TV series but also showing clips of fan made videos. 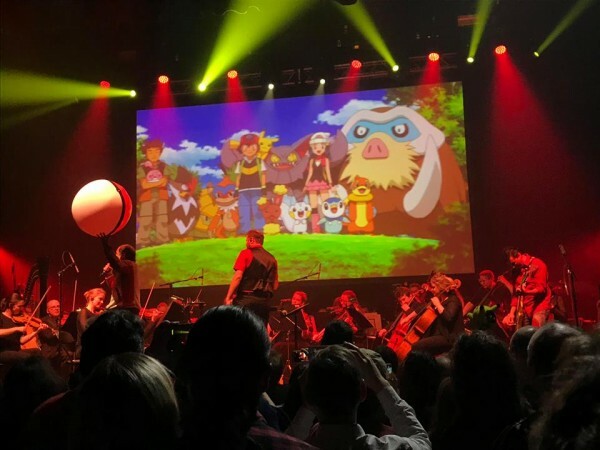 The crowd were also bouncing along a massive inflatable pokemon ball that one lucky fan got to keep at the end, so that it would be signed by the band and the creator, Tommy Tallarico. All in all, it was one of the best, most unique concerts I have ever been to in my life. It was an incredible experience that all videogame fans would enjoy. They have a repetoire of over a hundred pieces of music, so there is something for every kind of videogame fan, whether it is the classic kind of games like Mario, Zelda, or whether its the horror games like Silent Hill, or the indie games like Shadow of the Colossus. We hope to see them once again come back to Manchester in the future. Hopefully by then we'll see games like Horizon Zero Dawn, Kingdom Hearts 3 , Telltale's Walking Dead and of course Uncharted which I think personally would be incredible to see in this format.